A new right-of-centre party is about to be formed in Quebec, adding to what is already a swollen field of political parties in the province. Éric Barnabé, a former riding association president for the ADQ, will be launching the Équipe Autonomiste (Team Autonomist, or EA) in the coming weeks. The party is a response to the planned merger of the ADQ and François Legault’s Coalition Avenir Québec (CAQ). Members of the ADQ will be voting later this month on whether to support the merger or not, but already cracks are starting to show on the right of Quebec’s political spectrum. Though the great majority of the ADQ’s executive approved of the merger, a group of ADQ members have been mounting a campaign to try to convince the party faithful to reject it. Their work is complicated by the refusal of the ADQ’s executive to provide them with a party list. The EA is hoping to take advantage of disgruntled former ADQ supporters, some of whom believe that Legault’s CAQ is not nearly right-wing enough for their tastes. But even if the ADQ’s members reject the merger and the party continues to survive as an independent entity (how that would work when the party leader and the ADQ caucus in the National Assembly have wholeheartedly embraced Legault’s CAQ is unknown), the EA intends to go ahead with its plans, as Barnabé considers the ADQ to no longer be a viable party. If the ADQ disappears, the political field in Quebec will nevertheless still be very crowded. In addition to the governing Liberals and the opposition Parti Québécois, the National Assembly is currently home to sitting members of the CAQ and Québec Solidaire, as well as a few independants and Jean-Martin Aussant’s Option Nationale. There is also a provincial Green Party and in 2008 the Parti Indépendantiste and the Marxist-Leninists ran 42 candidates between them. This all adds up to a long and potentially confusing ballot when Quebecers head to the polls, which, according to rumours, will probably be this year. On the national question, the Liberals and a rump ADQ would stand alone as completely federalist, while the CAQ , the Greens and the Équipe Autonomiste would be somewhere in the middle. The PQ, Québec Solidaire, and Aussant’s Option Nationale would all run a slate of sovereigntist candidates. On the left-right spectrum, the CAQ could have its right-of-centre vote divided by the EA and possibly whatever remains of the ADQ. The left will be divided between the PQ, the Greens, Québec Solidaire and Option Nationale, leaving Jean Charest’s Liberals alone in the centre. This is the kind of division that Jean Chrétien’s Liberals exploited to their full advantage in the 1993, 1997 and 2000 elections, and that Stephen Harper’s Conservatives have benefited from since 2006. 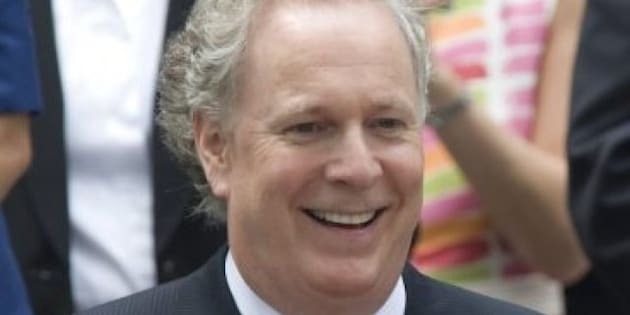 It just might be the thing that hands Jean Charest, against all odds, his fourth consecutive electoral victory.